Join us for six days of intensive training that will provide you with a game-changing toolkit to use in the classroom and life in general. Whether you’re already a teacher, or thinking of becoming one, this course is designed to turn teaching into a transformative and fun exchange. Classrooms will never be the same again. You’ll walk away from this course being able to communicate clearly and confidently with a group of people. Plus you’ll join a learning community of teachers full of inspiration, mutual support and on-going learning. 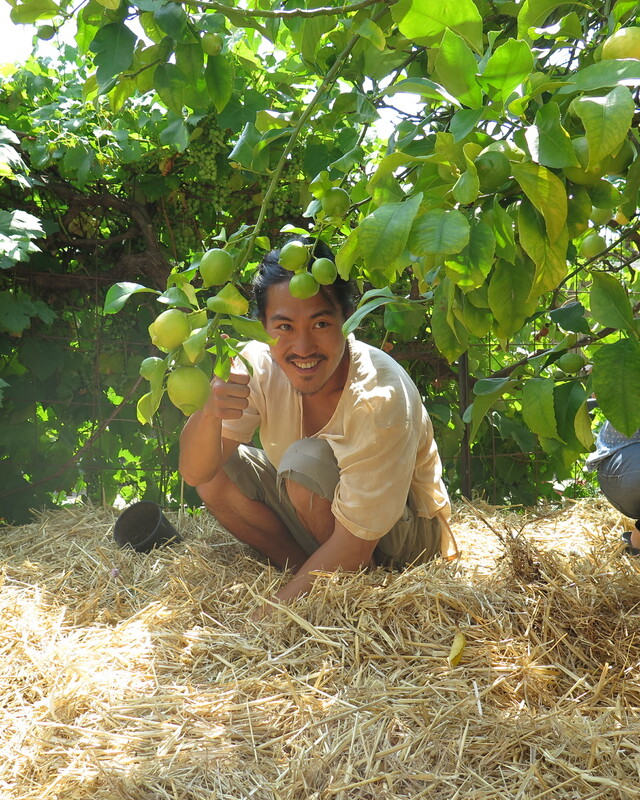 We require all students to have completed a Permaculture Design Course (PDC) (anywhere in the world) before the course starting date. Please contact us if you have any questions regarding this. If you’re looking to do any type of sustainability or permaculture education/communication, this is the course you’ve been waiting for. This includes teachers and students of architecture, landscape design, school/community gardeners, local government community development officers, ecology and other disciplines including geography, regenerative agriculture and agroforestry as well as permaculture design. 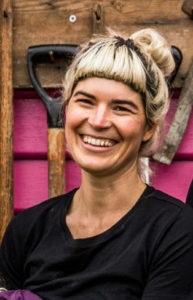 Hannah Moloney is a full time permaculture designer and educator who works with land holders to design landscapes that beautiful, abundant and resilient. When not designing, she’s running community projects, gardening and being a guest presenter on Gardening Australia (in the first half of 2019). In recent years Hannah has had the pleasure of working alongside some of the most celebrated permaculturalists in the world including David Holmgren, Rosemary Morrow and Dave Jacke. 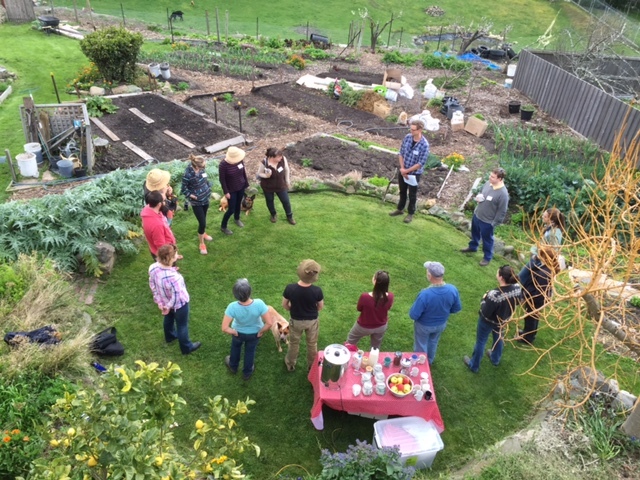 In 2015 she was awarded the Tasmanian ‘Young Landcare Leader Award’ for her work with Good Life Permaculture and co-founding Hobart City Farm and in 2018 she took part in the Tasmanian Leaders Program. You can read more about Hannah here. Brenna Quinlan is a permaculture educator and illustrator. She regularly teaches PDCs with Melliodora (with David Holmgren) and Milkwood and is a regular guest teacher on Retrosuburbia Train the Trainers course and in the past, a series of Rucache permaculture courses in Argentina and Brazil. In 2018 Brenna co-taught the Permaculture Teacher Training course and a CERES Train the Trainers course with Rosemary Morrow, and is currently working with permaculture band Formidable Vegetable Sound System and Resource Smart Schools Victoria in bringing permaculture education to schools. 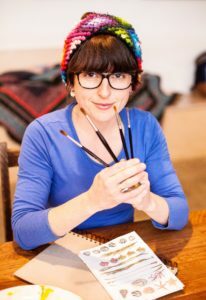 As an illustrator, Brenna’s work can be seen in David Holmgren’s 2018 book Retrosuburbia, as well as the Milkwood Book, Farming Democracy, and Delvin Solkinson’s permaculture educational resources. Catering – delicious and nutritious vegetarian food for the duration of the course. A copy of Earth User’s Guide to Teaching Permaculture: An invaluable friend to the experienced and novice teacher alike. A whole new network of teachers and doers for you to draw on, and be part of! This course is being held at the Sustainable Learning Centre, a 10 minute drive from Hobart city. Please note, there is no onsite accommodation. This course runs from 8:30 – 5pm each day. If you need to withdraw from this course we ask that you give us 2 weeks notice, we’ll provide a refund minus the deposit fee. Alternatively you’re welcome to pass your place onto a friend or family member or put the full fee towards one of our future courses. 9 available	 PTT - Early Bird $900.00 Save $100! Offer ends July 1st.